This makes the batter for the system to produce the wafers. It will transfer the batter after mixed into the storage tub, and then transfer the batter by pump when the baking oven needs. The batter mixer and the storage tub is one unit, and the capacity is 25KG flour every time. 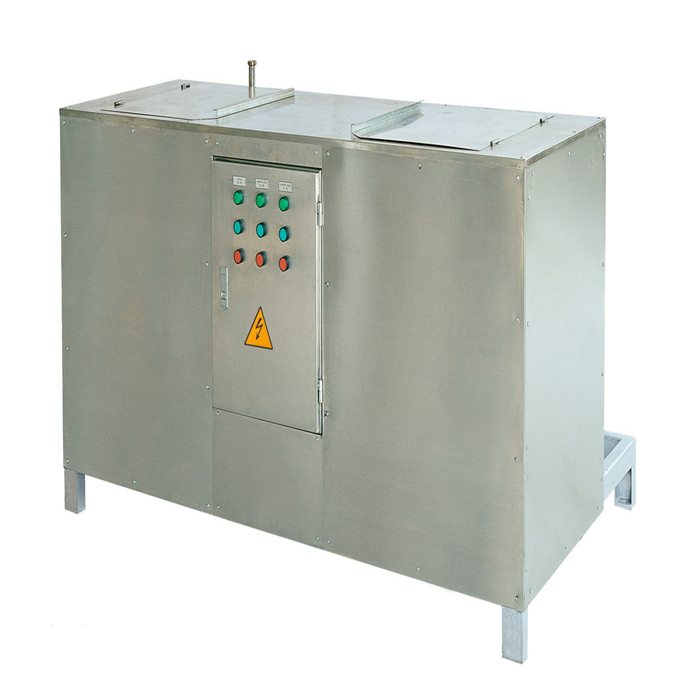 The mixing unit is movable VANE type, and easy to clean. It can mix the 25kgs flour with water and other materials to be 65kg batter within 3minutes. The mixing tub is made from SUS201 stainless steel. The machine rack is welding by carbon steel with high-temperature silver paint. The whole body materials are SUS201 stainless steel, thickness:1.2mm. The mixing motor is XINGGUANG brand from China. The bearing is SKF of Sweden brand. The AC contactors are Schneider of German brand. The batter pump is Chinese famous brand.